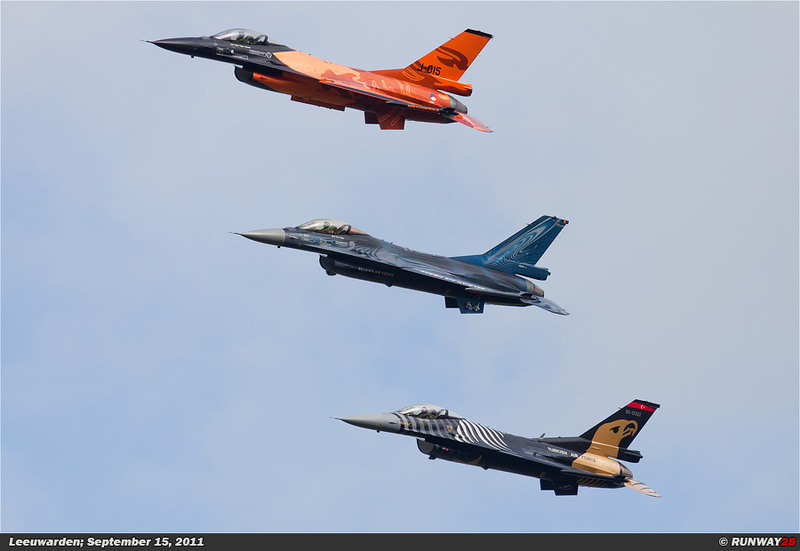 The Open House of the Dutch Air Force was also this year on my program. 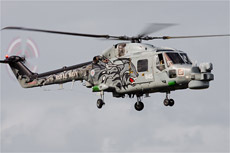 This edition of the Open House was held at Leeuwarden Airbase. 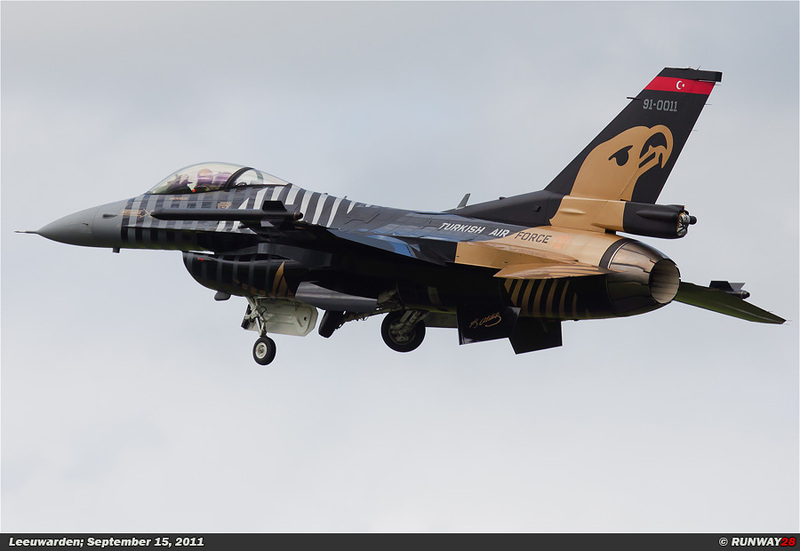 On Thursday, September 15, I attended the spotters day which is held the day before the Open House. 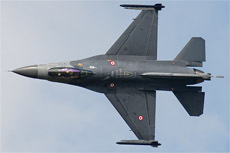 All the participants of the airshow will arrive during this day. 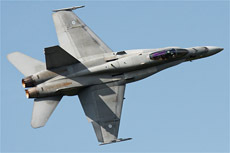 The Air Force resumed also this year its traditional Open House. 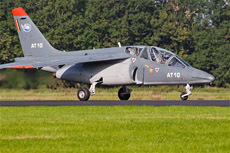 Leeuwarden Air Base was this time the host of the Open House event. 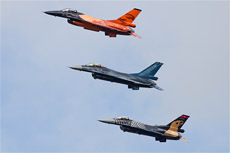 The Air Force Days were held on Friday, September 16 and Saturday, September 17. Slogan for this year's Open House was; "The Future is in the Air." 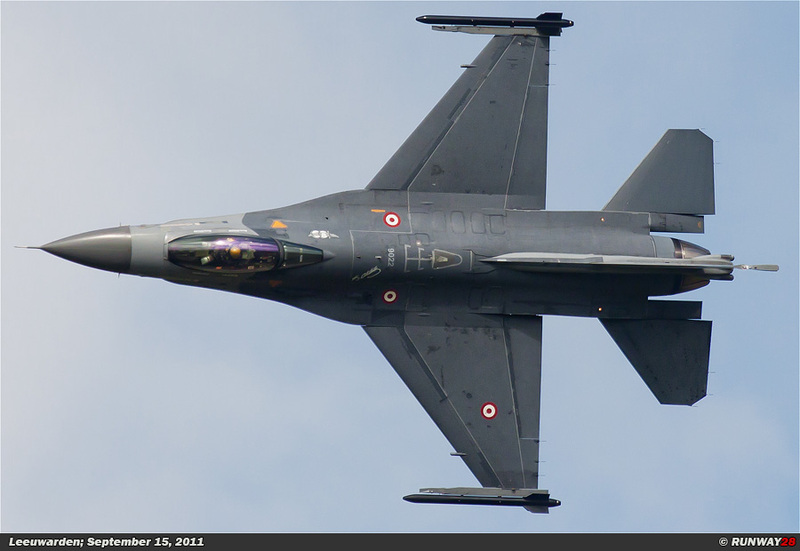 With this slogan the Air Force wants to show that it indeed has a future during these times of economic crisis. The Air Force will change its direction of its policy in the next few years. In the future it will rely on less material with a higher employability. The equipment that the Air Force is using are the most modern of their kind with a variety of technical highlights. 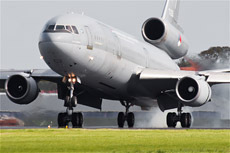 Particularly communication between armed forces will play a bigger role in the future. Also the Open House itself cannot escape from the cuts in funds. There will only be an Open House in 2 of the 3 years from now on. The same applies to the Army Days and the Fleet Days of the Navy. 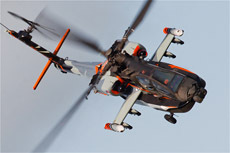 Most visitors consider the air show as the highlight of the Open House. 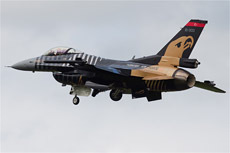 Aircraft from the Netherlands and abroad will show their capabilities during the demos. 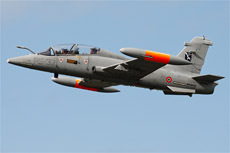 Military pilots will demonstrate what is expected of them during missions. 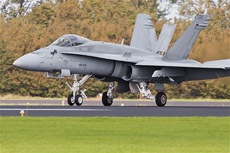 There are several planes on the ground on the static display from many different countries. 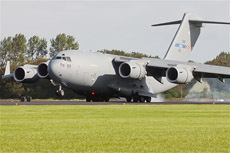 Here the visitors can see the planes up close. beautiful after summer day. I arrived at 8 am at the airbase and it was not difficult to find a decent spot along the fence. Only 400 people were invited by the air force for this day. This is a relatively small group when you see how big the base is. 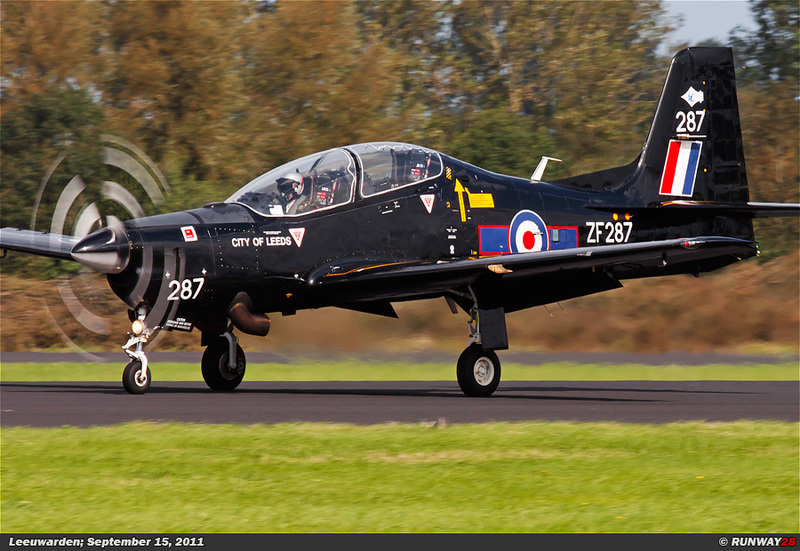 The advantage of the spotters day in Leeuwarden is the short distance to the runway and the quiet background. The day started well with some nice arrivals. 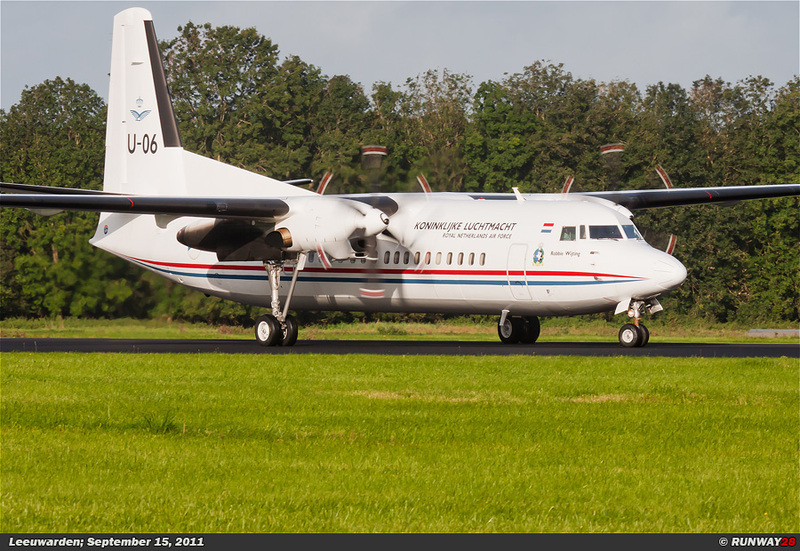 The first aircraft which came in was a white Fokker 50 from Eindhoven Air Base. 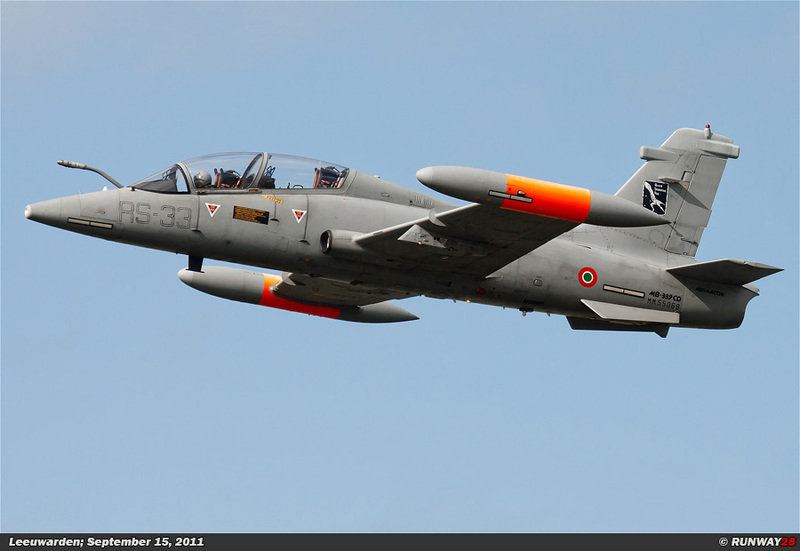 This aircraft became an extraordinary aircraft because the 2 aircraft are for sale at this moment. 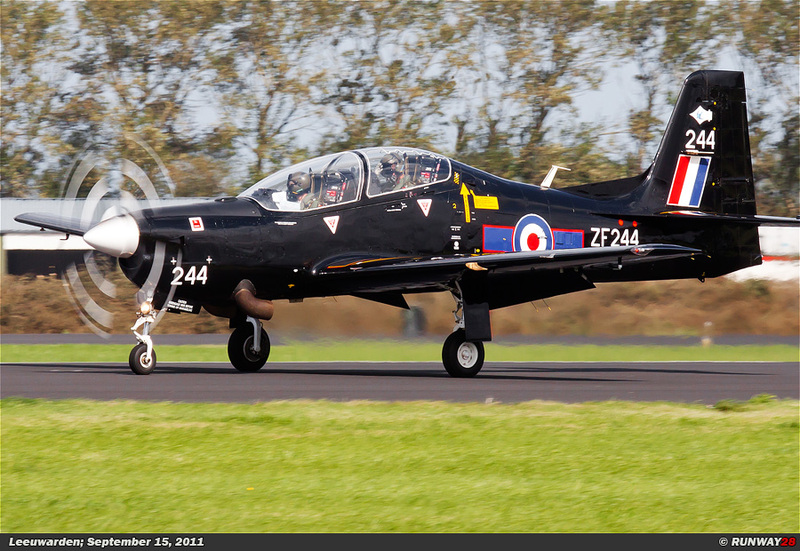 They are only used sometimes to keep them in flying conditions. 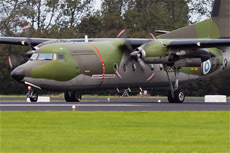 Shortly after the landing of the Fokker 50 a white C-21 from Ramstein AB and a Belgian Alpha Jet arrived. 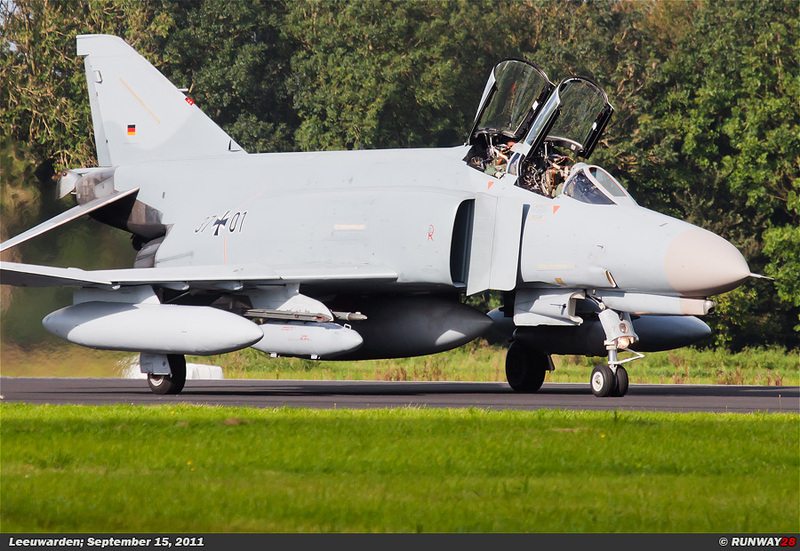 A F-4 Phantom from Wittmund arrived after a brief period of silence. The Phantom used its characteristic drag chute during its landing. 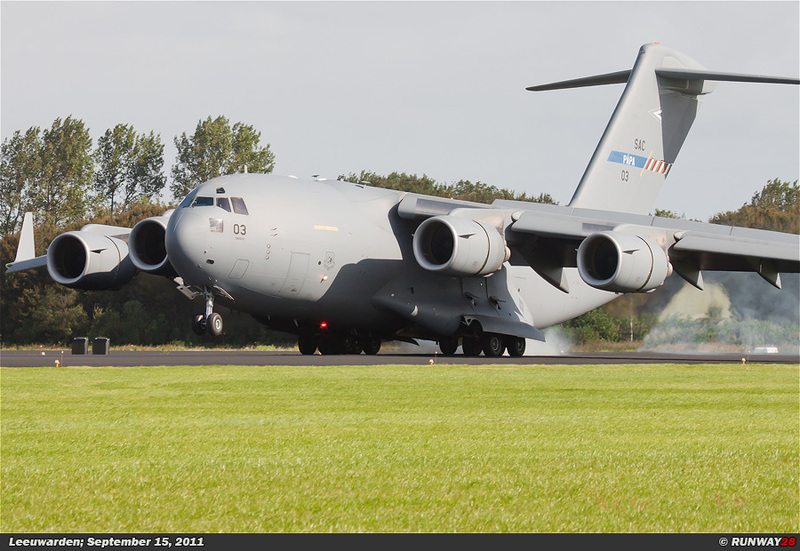 Also a C-17 of the NATO Airlift Wing was inbound for landing. 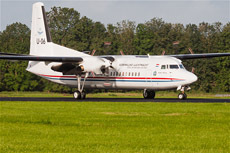 This machine was for the first time flown by a full Dutch crew. 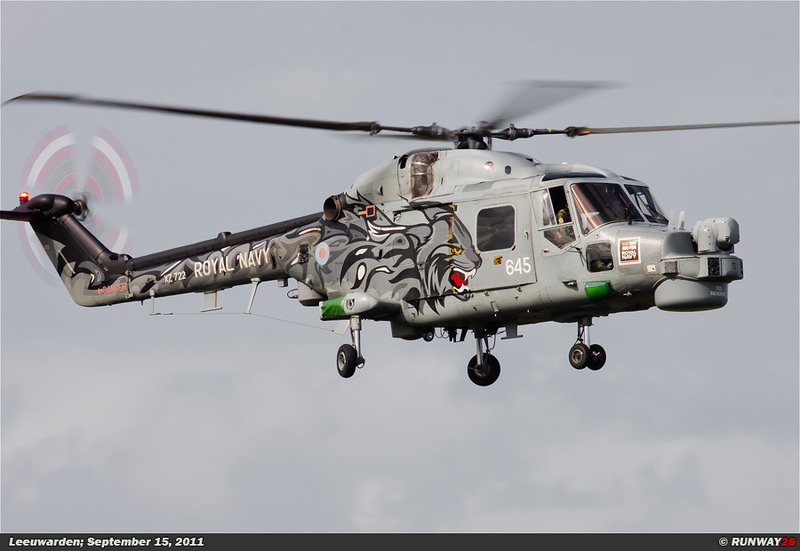 The crew placed a Dutch flag on top of the aircraft after landing to celebrate this. 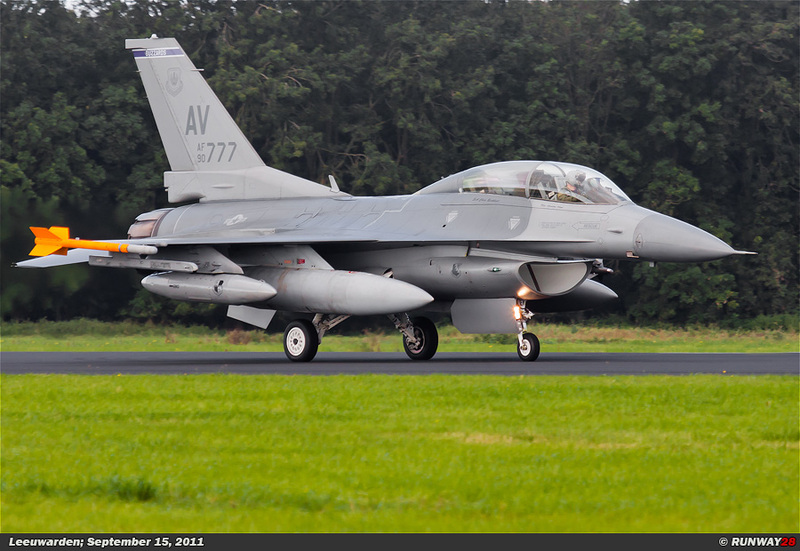 The next two arrivals were two F-16s from Aviano. 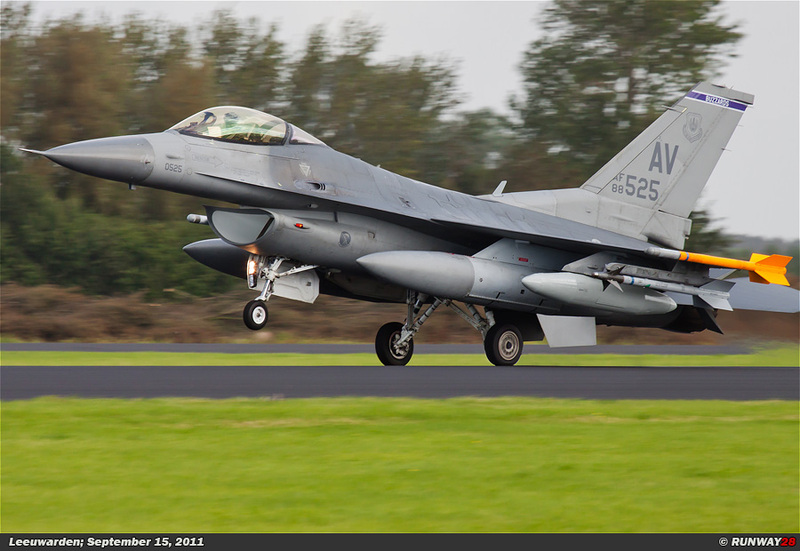 The two American F-16s stayed long on the rear wheels during landing. This provided some nice action pictures. 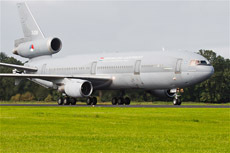 The Dutch KDC-10 from Eindhoven Air Base landed shortly after the arrival of the Americans. 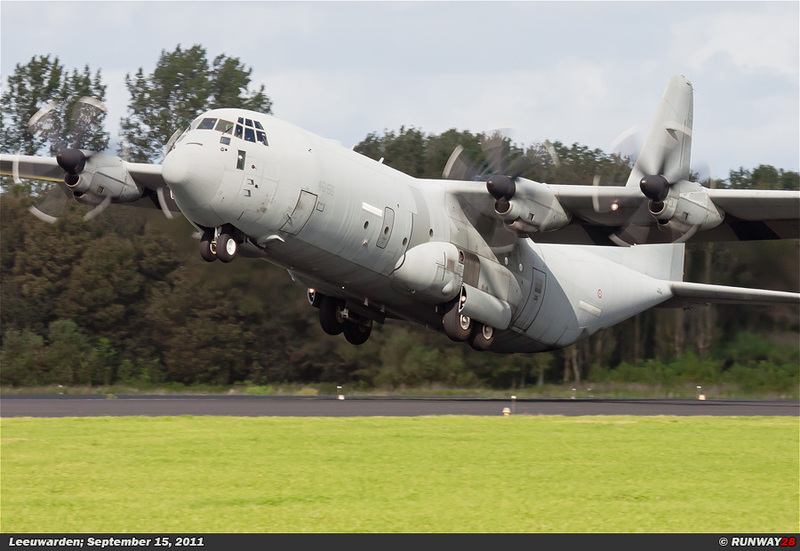 I took a picture at the moment of touchdown. It looked pretty spectacular on photo. 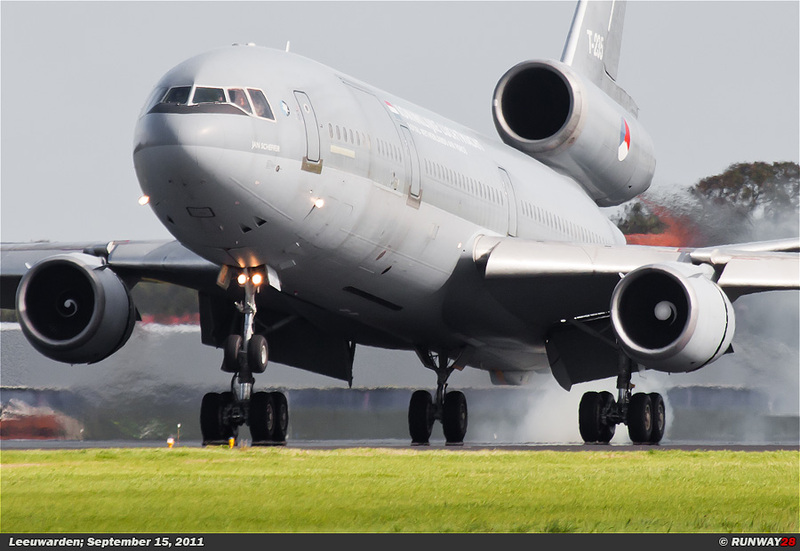 One of my main goals of the Open House appeared right after the landing of the KDC-10. The Royal Navy Black Cats started to practice their demo flight at the middle of the runway. 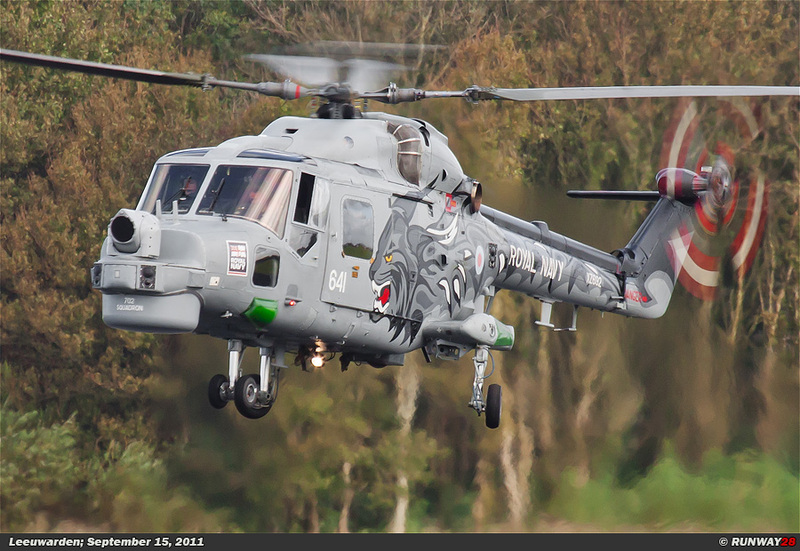 The two Lynx helicopters of the Royal Navy performed very well during their practice. 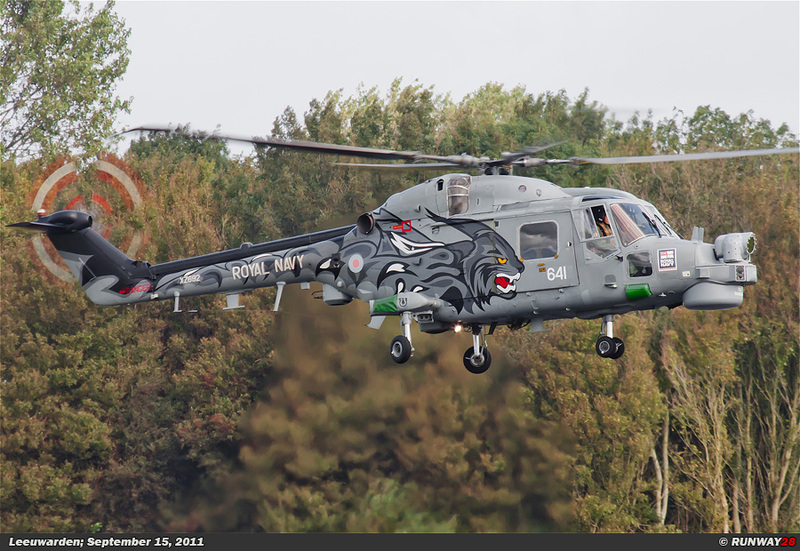 The highlight of the demo was when one of the Lynx helicopters went into a hover in front of the trees. This was one of those moments when I had hoped for. 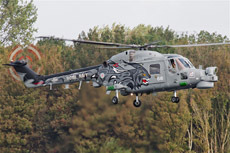 Several planes arrived immediately after the demo of the Black Cats. 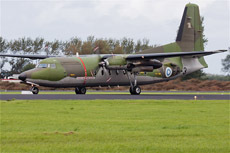 The first plane which arrived was the Finnish Fokker F-27. 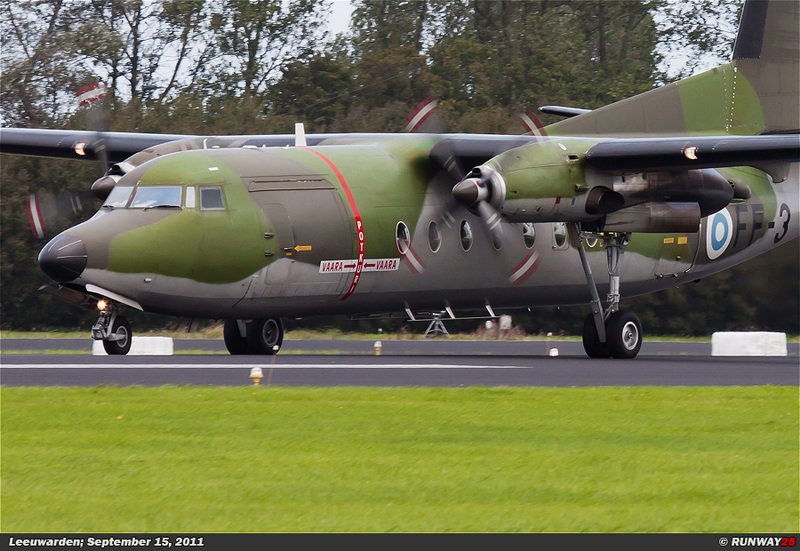 It was the first time that this aircraft appeared in front of my lens. 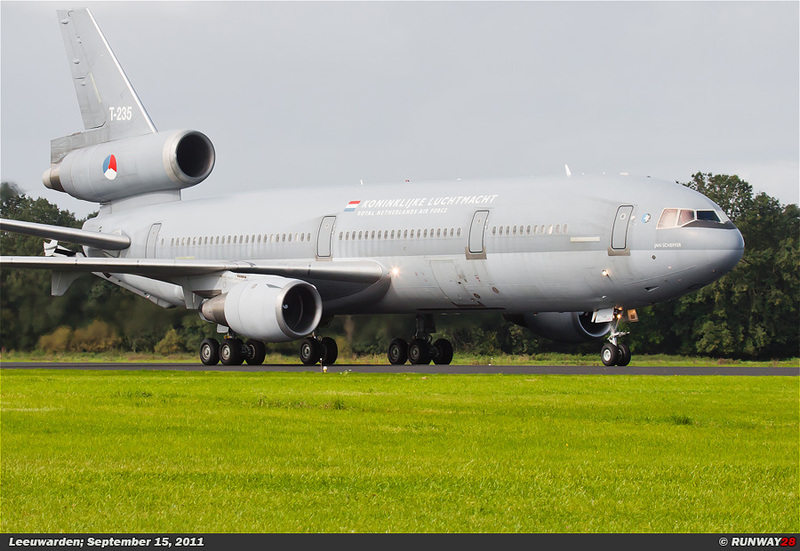 I was very happy with this action, because these aircraft are on the list to be replaced by a successor. 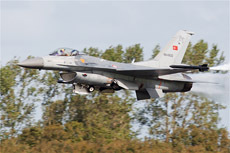 Three demy F-16s departed in the meanwhile for an air to air photo shoot over the North Sea. The three demo F-16s returned not long after their departure at Leeuwarden. 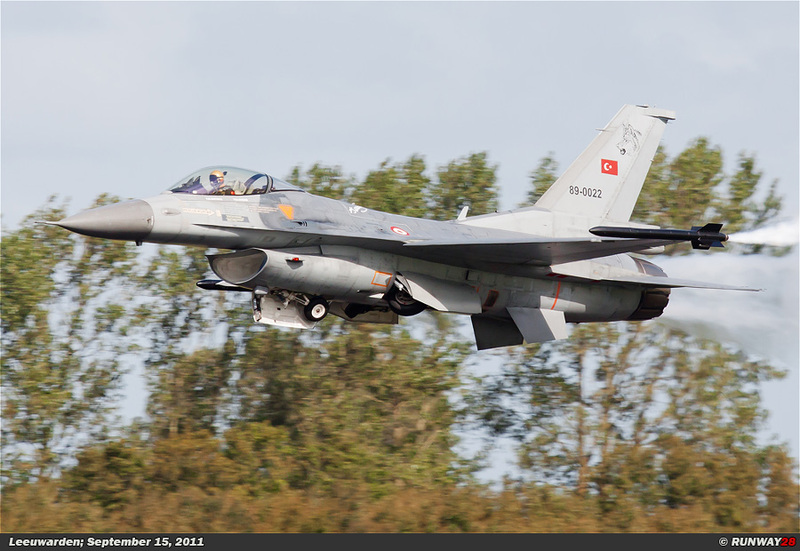 The Turkish demo pilot started his demo; he was using the spare F-16 for the demo. The aircraft made a spectacular low take-off. The demo which followed was very good. 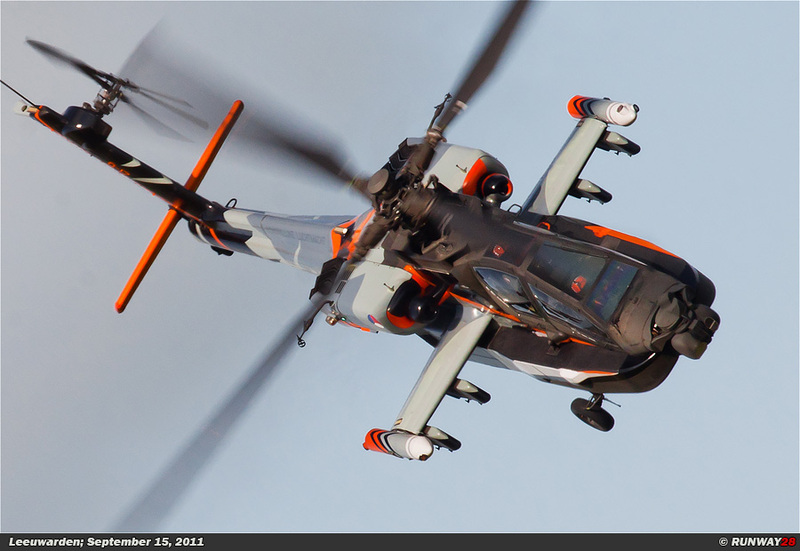 I was able to shoot the aircraft on its back during the demo. Several demos were practiced after this event. 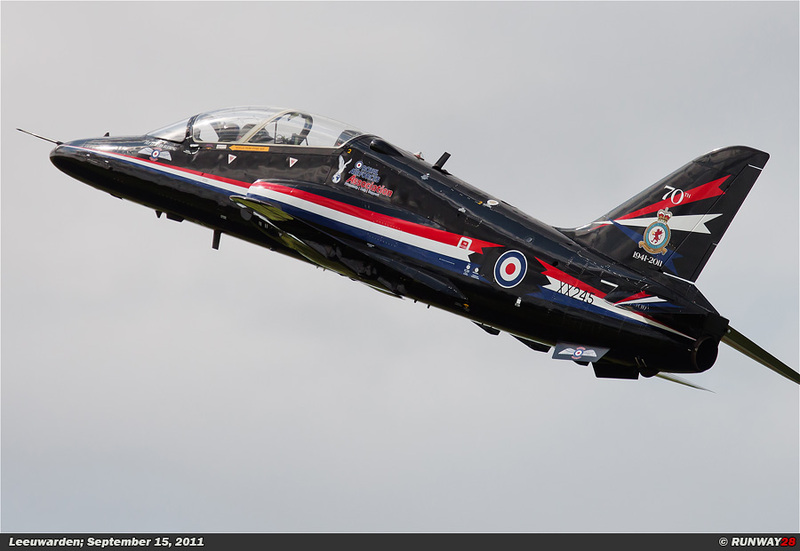 The British Hawk, the Italian MB339 and the Finnish Hornett practiced their demo. My second highlight of the Open House arrived after the demo of the Finnish Hornett. 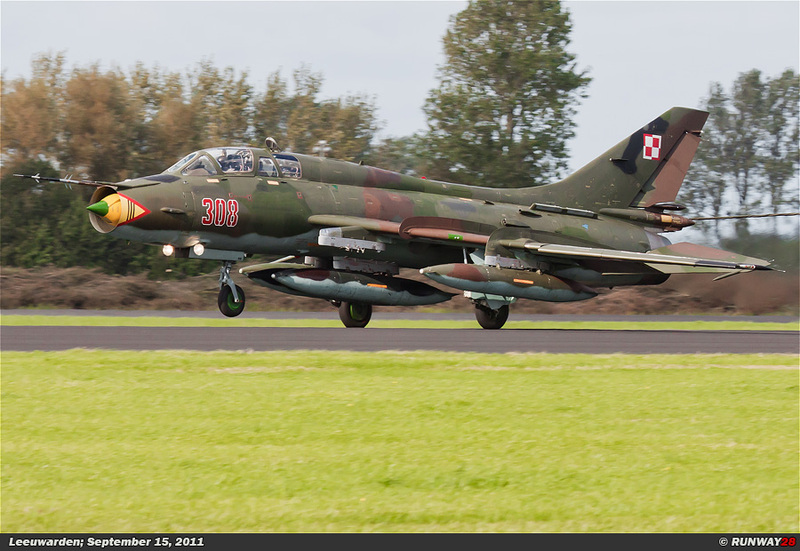 We were suddenly surprised by a Mig-29 of the Polish Air Force. 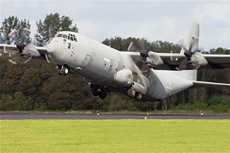 The aircraft flew low and fast across the airfield. 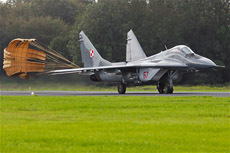 The MiG-29 used its drag chute during its landing. 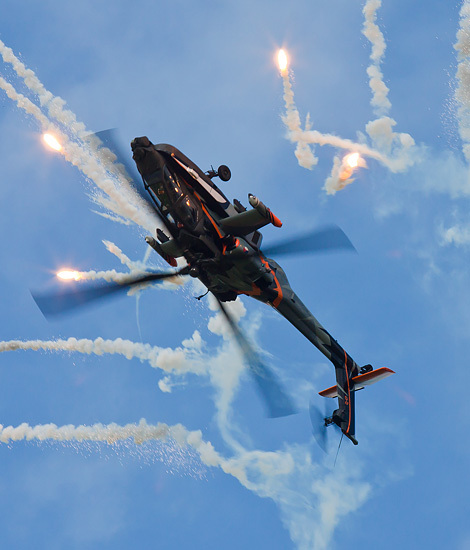 The Apache of the Apache Solo Display Team started its demo. 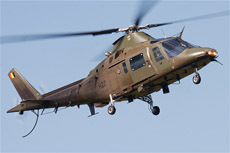 It performed its demo after the landing of the MiG. 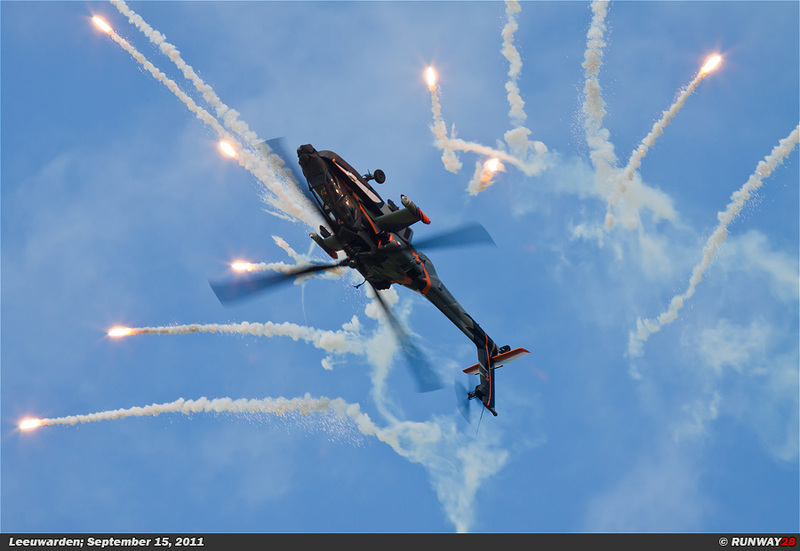 The use of flares during the looping is always spectacular in a demo. 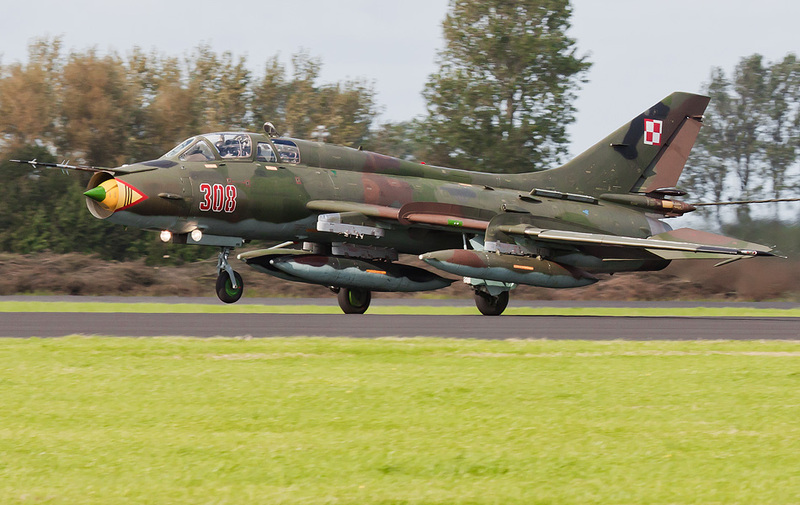 My third and final highlight of the arrival day was the arrival of the Polish Su-22 Fitter. 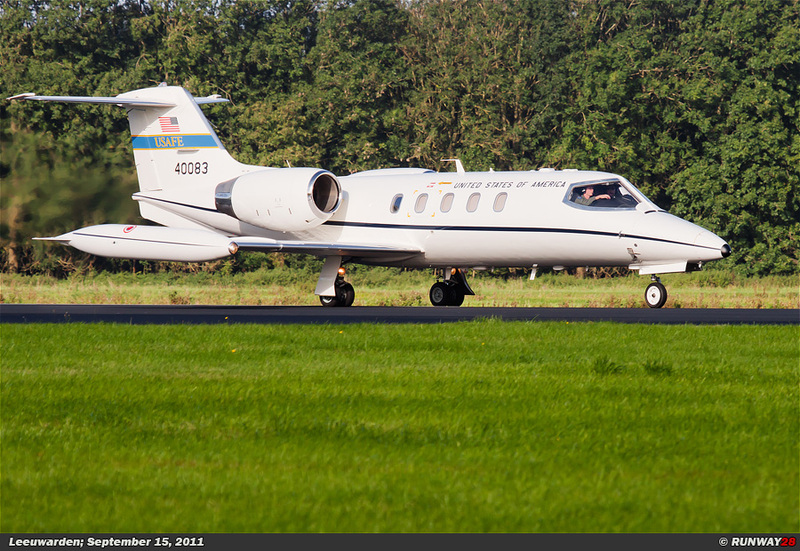 This plane was delayed and we thought it would not come. 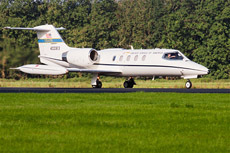 We were wrong, because the aircraft appeared more than 1,5 hour late according to the planning. I was very happy, because I have not too many of these machines in my collection. 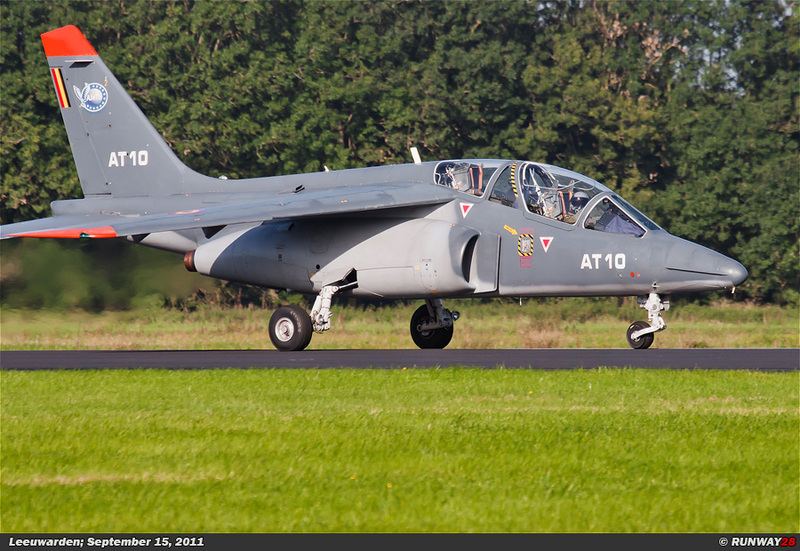 The spotters day at Leeuwarden was over after the landing of the Fitter. It was already 5 pm. 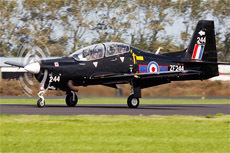 There were still a number of aircraft inbound for landing. I didn’t catch them anymore. Also the light conditions were not the best anymore at this moment of day. 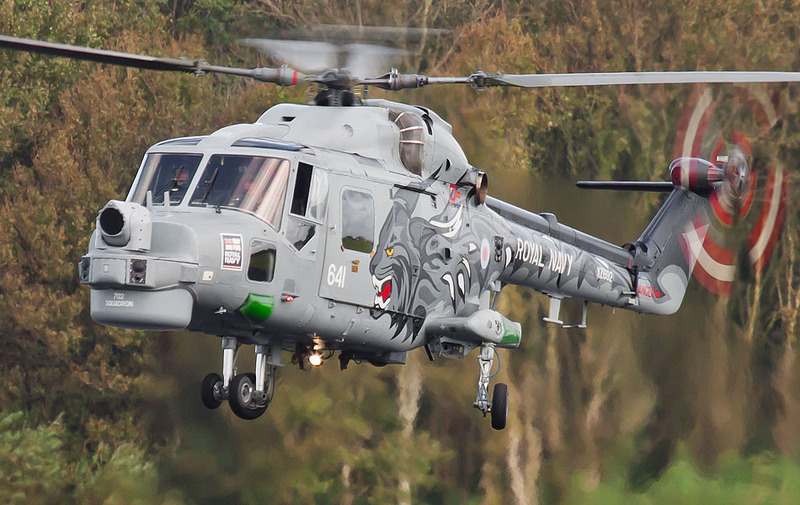 Two American F-15s, a Belgian Sea-King, a British Sea-King, a Polish Hercules and a Dutch NH90 arrived when I left the base. 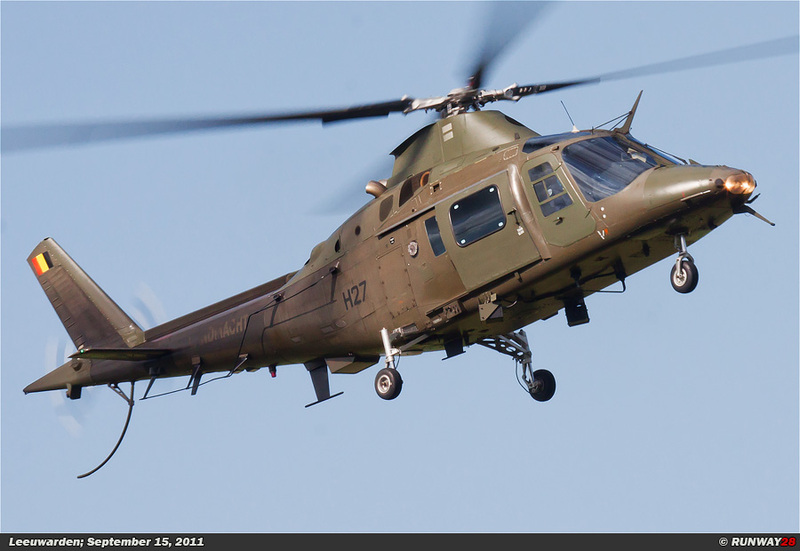 The helicopters landed on a different place anyway. 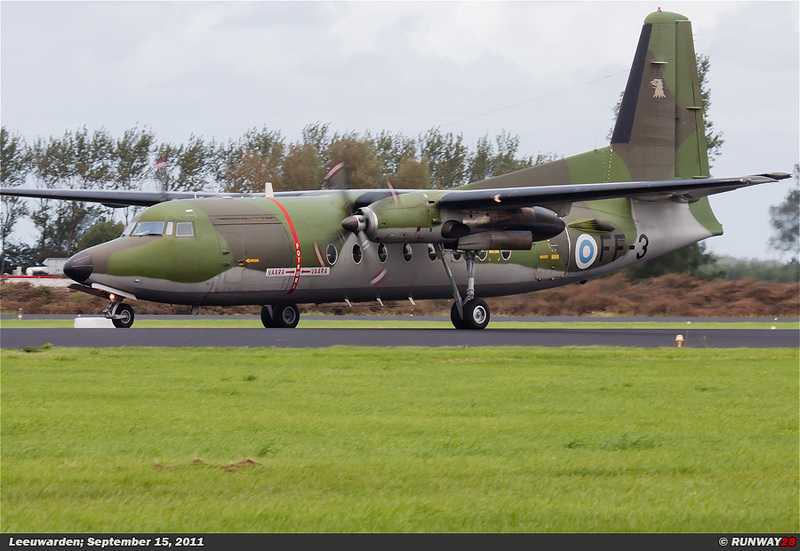 The spotters day at Leeuwarden was good enough to catch 90% of the aircraft on base. 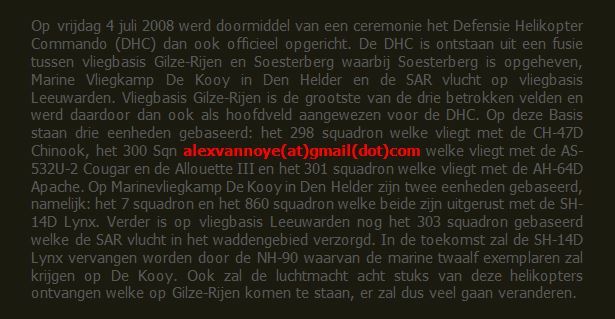 Therefore, I decided not to go to Leeuwarden for the Open House itself.